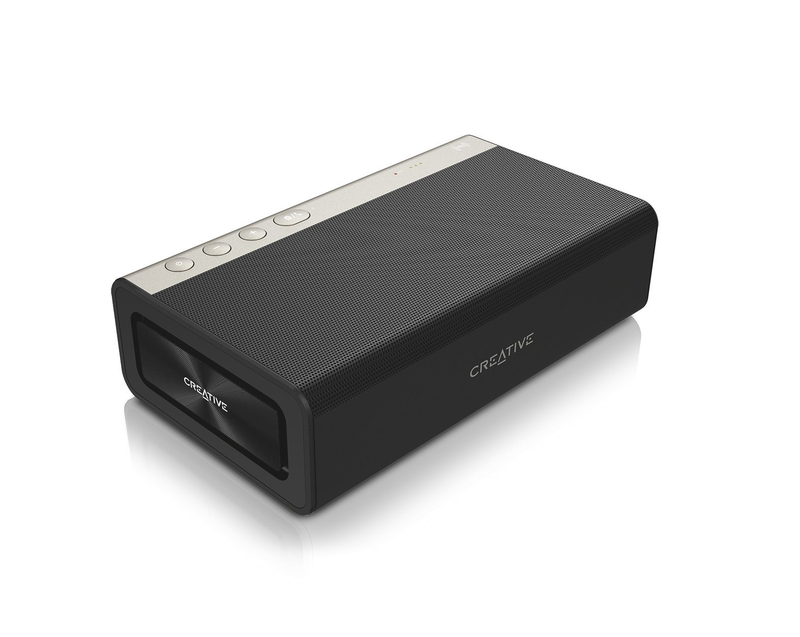 The Sound Blaster Roar 2 is a more compact version of the Sound Blaster Roar. It packs the same five high-performance speaker drivers, with the same cutting-edge electrical design, and the same battery capacity as its predecessor, all into a 20% smaller frame. With unique bi-amplification, it houses one amp to drive the lows and mids, and another amp to drive the highs. The result is increased accuracy in the lower mids and depth in the lows. With aptX® codec support, the Roar 2 can provide superior quality audio when streaming over Bluetooth® with compatible devices.